So in many ways the contact module in Drupal 8 covers a lot of the use cases that normally need to install the web form module for, but it doesn't cover everything, which is why web form is still being ported to Drupal 8. 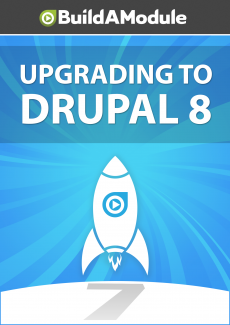 In this Drupal 7 site I've installed web form so we can take a look at the options available and compare them. So I'm going to go to content, add content and then web form. We'll give it a title, we'll click save, and now this components part is kind of similar. We can add a series of types, not all of which are available through Drupal 8, but most of which are. But the real differences come with the conditional inputs, so through this, if we add a condition, we can say that if a certain field is a certain value then we're going to display another field, or change the value of another field.